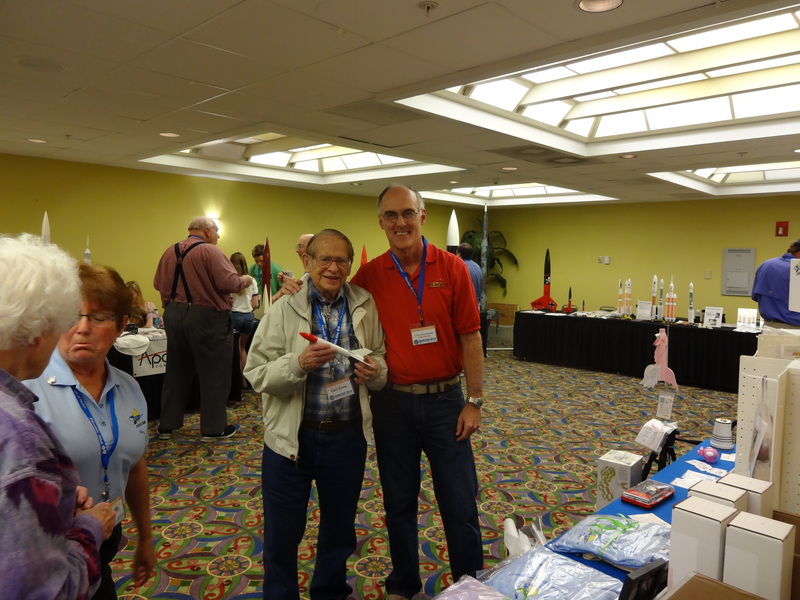 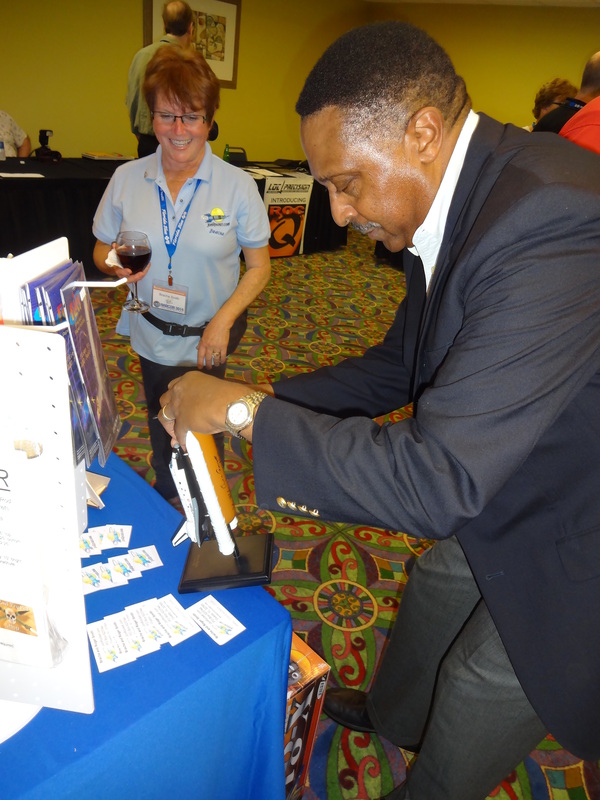 Florida’s Space Coast hosted NARCON, the National Association of Rocketry’s annual convention, from February 28 to March 2, 2014. 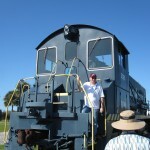 We made the one-hour trek from Oviedo to Cocoa Beach on Friday morning. 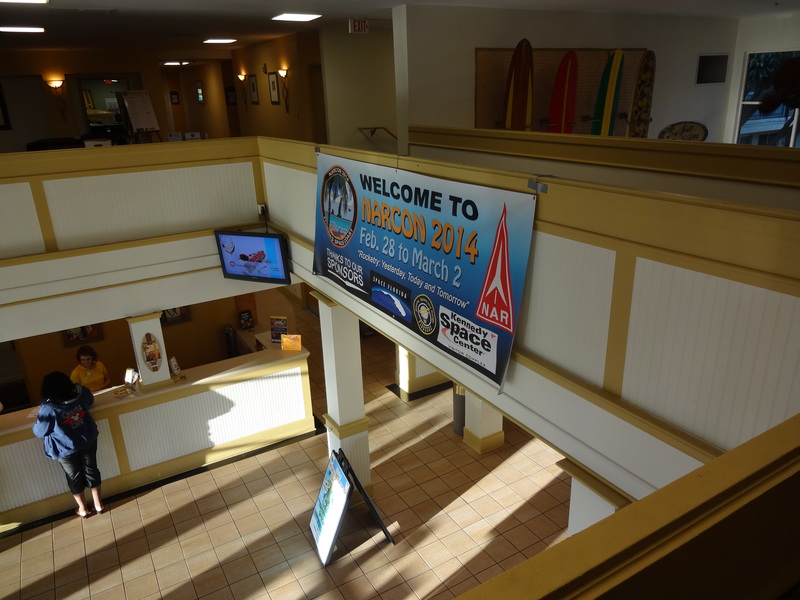 We checked into the International Palms Resort and picked up our NARCON badges and welcome packet. 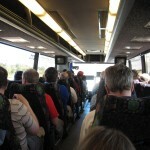 Then we went across the street to Denny’s for lunch. 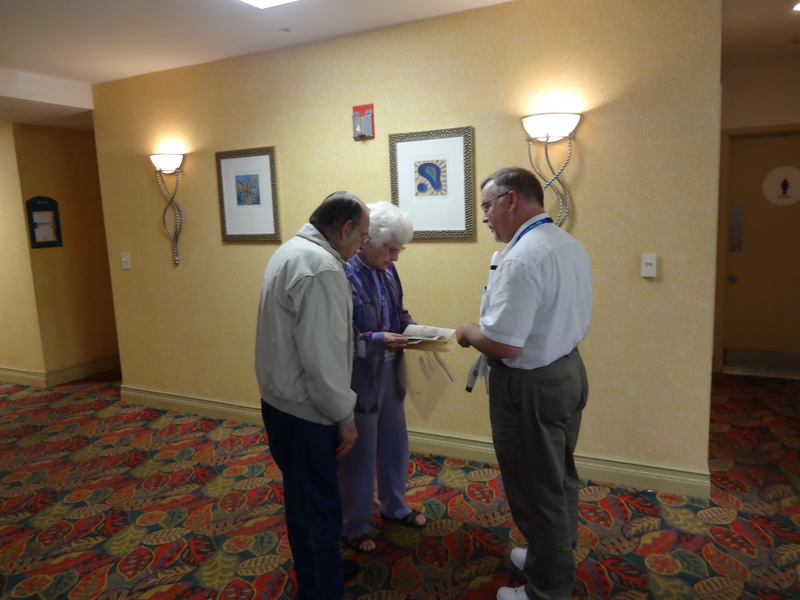 After traveling such a long distance, we needed the time to relax! 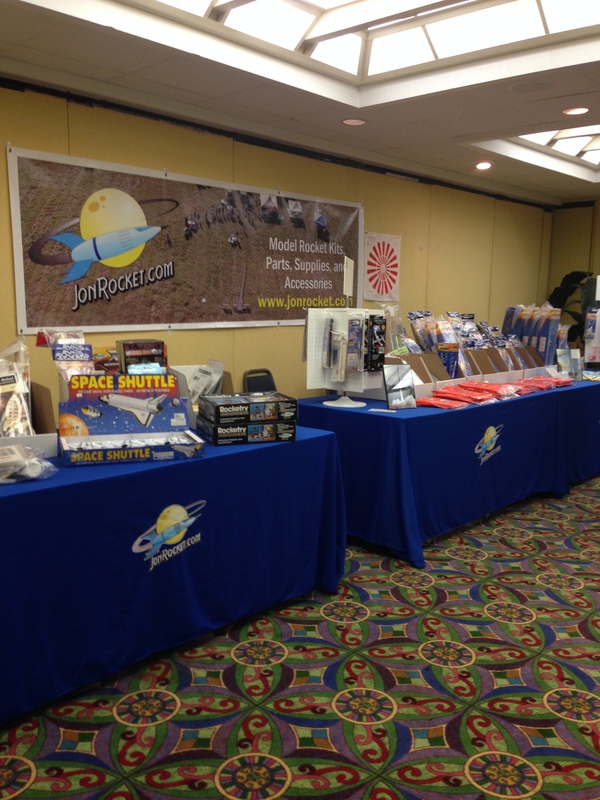 After lunch, we unloaded the trailer and set up our JonRocket.com tables in the Vendor Room. 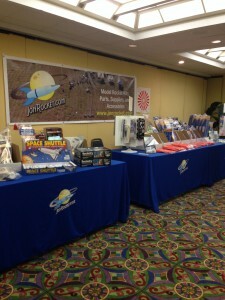 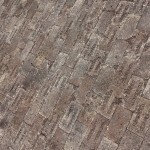 We debuted the new JonRocket.com banner which features an aerial photo I took at a ROCK launch using my quadcopter. 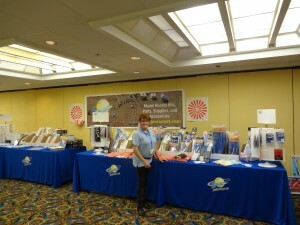 Beside the banner, we displayed the new plastic parachute that we will soon be releasing. 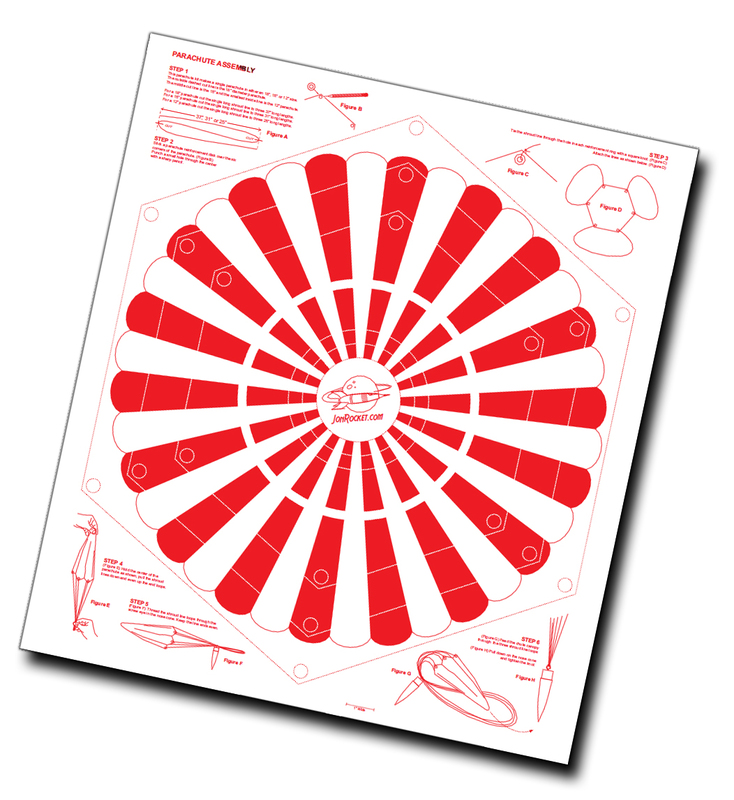 Designed by Chris Michielssen of Odd’l Rockets, the new parachute features a plastic sheet which may be cut to form the canopy of a 12″, 15″, or 18″ parachute. The striking design is reminiscent of the parachutes used during the Apollo moon missions. After we finished setting things out in the Vendor Room, we went to the hotel’s restaurant on the beach, Mambos, for a quick dinner before we drive to the Air Force Space and Missile History Center for the NARCON dessert reception. 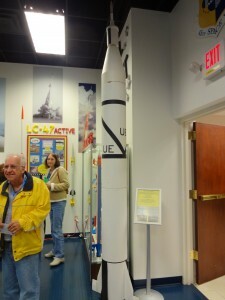 Just inside the door of the history center, is a scale model of the Juno I / Explorer 1 rocket. 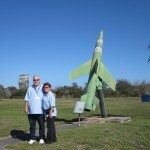 We recognized it as the rocket built by members of NEFAR to commemorate the 50th anniversary of the satellite’s launch. 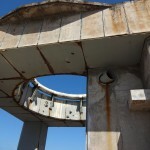 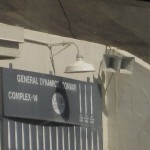 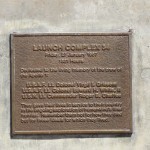 The plan was to launch the rocket from the site of the original launch on the anniversary date. 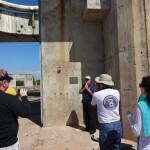 But, the group was unable to get permission from the Air Force, so the first flight of the Juno I was at a NEFAR launch. At the reception, I was introduced to Vern Estes, the founder of the model rocket company that bears his name. I told him about our Akavish rockets and showed him a couple of photos of our Big Daddy Akavish. 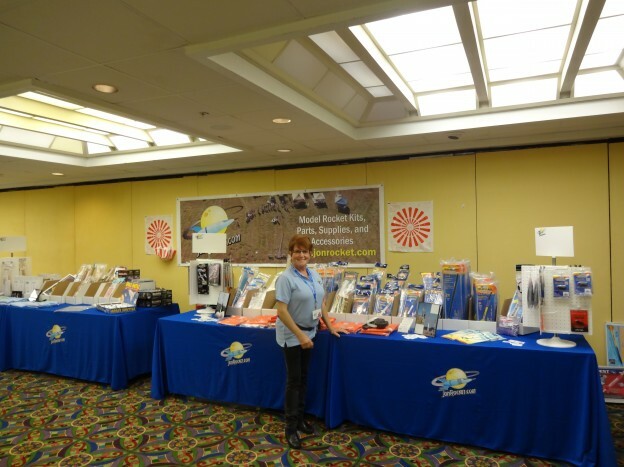 Early Saturday morning, we were back in the Vendors Room – we spent a lot of time there. 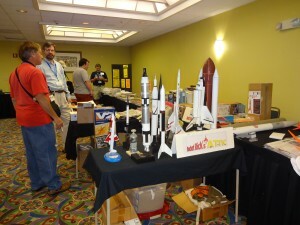 Across from us, Rick Boyette set up a table to sell rocket kits and other things from his collection. 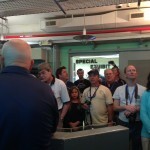 We knew Rick from the Florida Winternationals years ago and a few other times when we’ve crossed paths. Just outside the door, Brian D. Nicklas sat with Wes Oleszewsk. 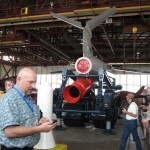 Brian is the author of American Missiles: The Complete Smithsonian Field Guide. 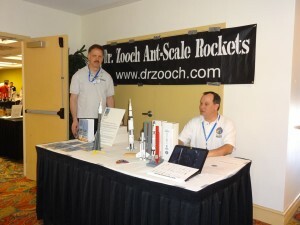 Wes designs and manufactures the Dr. Zooch series of rocket kits. 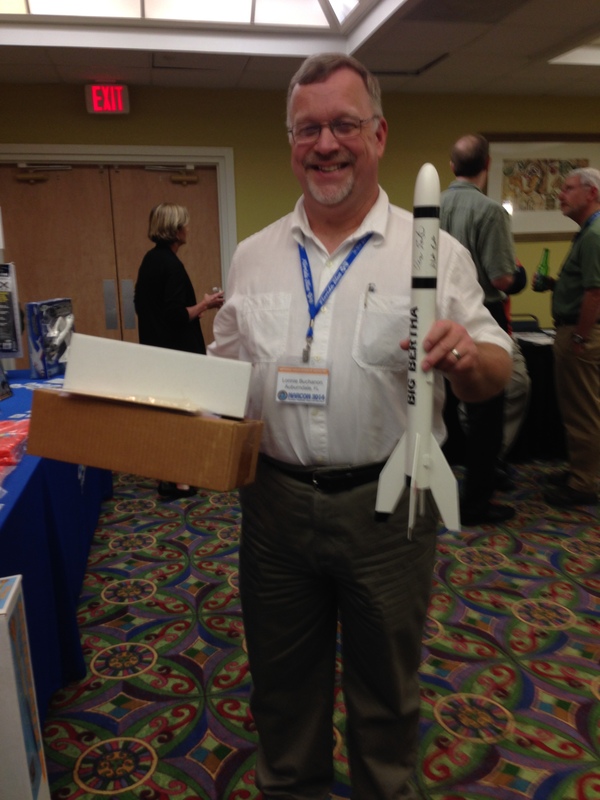 Chris Michielssen displayed the new Pigasus “flying pig” model rocket kit from Odd’l Rockets. 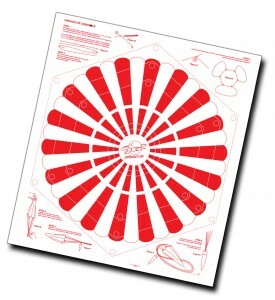 The Pigasus will be available soon rom JonRocket.com. 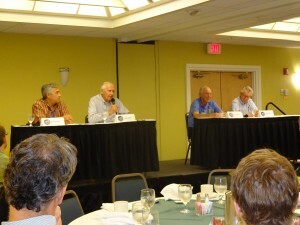 At lunch, we heard from a panel of gentleman who worked at the Cape on the space program dating back to Project Mercury. 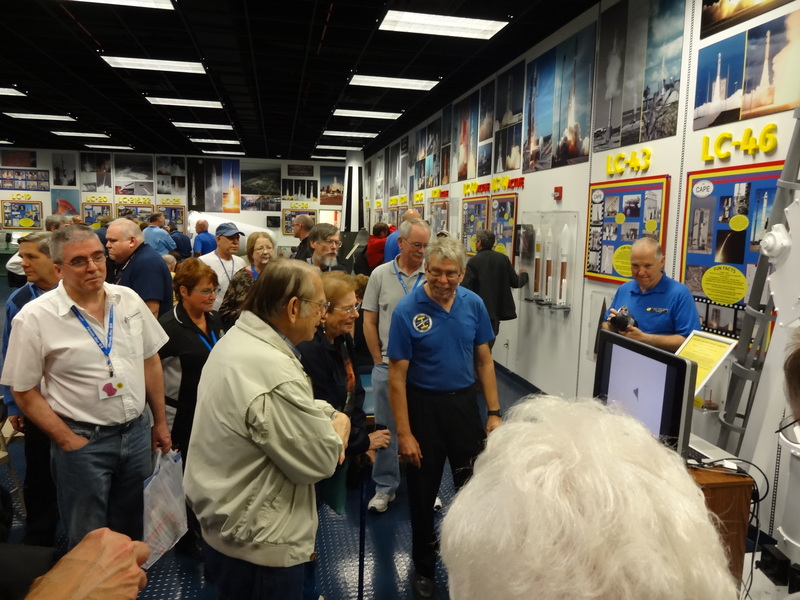 Bob Koenn, John Tribe, Lee Solid, and Roy Tharpe described working for the space program from the early days of the Atlas missile to the Space Shuttle. 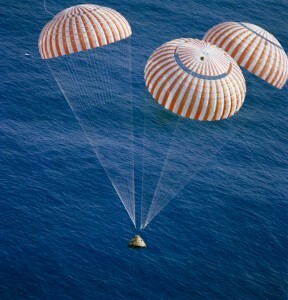 The food was pretty good, too! 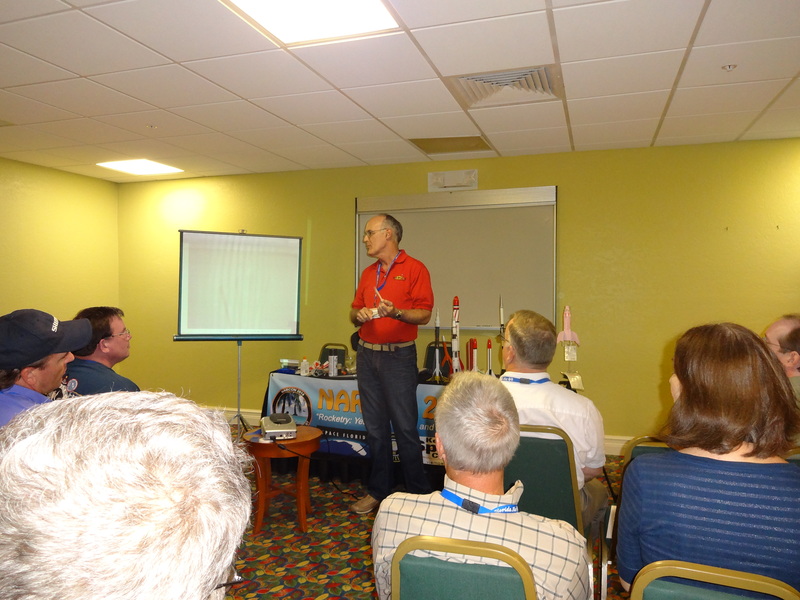 After lunch, I attended Chris Michielssen’s presentation. 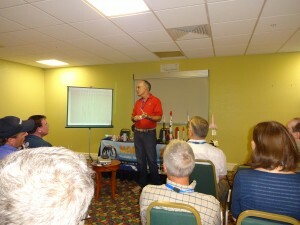 Chris shared many of his not-so-secret techniques for crafting great-looking model rockets. After lunch, Chris posed for a photo with Vern Estes. I had the pleasure of meeting three NAR presidents, Trip Barber, Mark Bundick, and Ted Cochran. I really appreciate all they have done for NAR and rocketry in general. I posed for a photo with Tim Van Milligan (of Apogee), Chris Michielssen (of Odd’l Rockets), CarlCampbell (of DFR Tech), and Pigasus (of Chris’s brain). On the way to a much-needed pit stop, I saw Vern signing a rocket for Lonnie Buchanon. 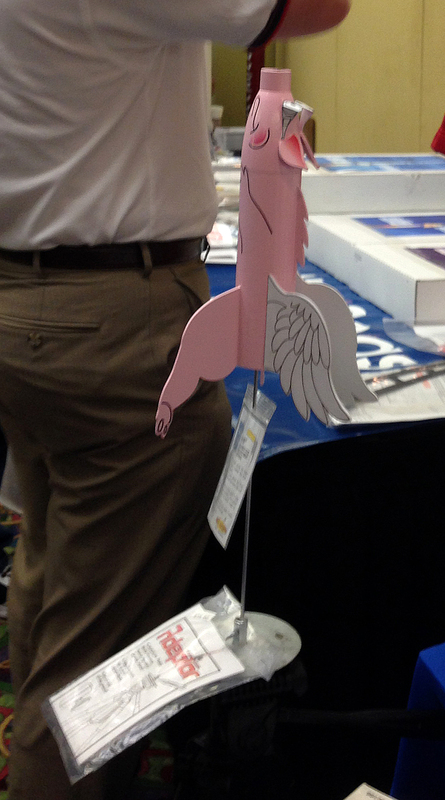 I think Lonnie was pleased. 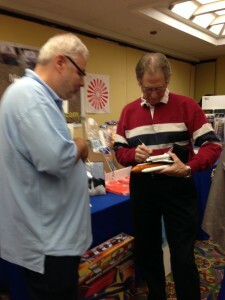 He had Vern sign his 30-year-old Big Bertha. 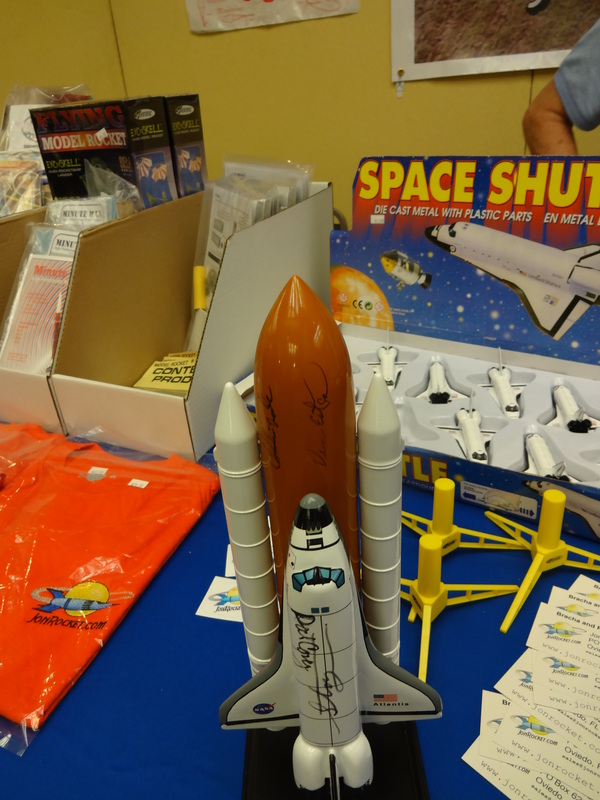 Back in the Vendors Room, I displayed a Space Shuttle signed by some astronauts and Vern Estes. I showed the shuttle to a gentleman and described how we had it signed by several astronauts. 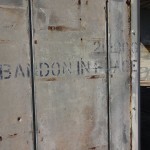 As he turned away to talk with someone else, I realized that he was an astronaut. So … enlisted Bracha to invite him back to autograph the model. 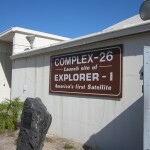 Sam Durrance is a geophysicist who has flown into space twice aboard the space shuttle. 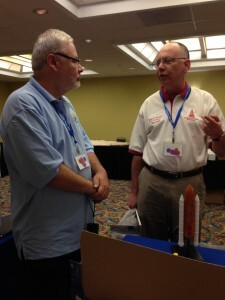 I recognized the second astronaut who wandered into the Vendors Room. We had seen Winston Scott at some Kennedy Space Center events. 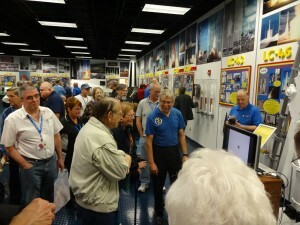 Captain Scott flew two Space Shuttle missions and made three space walks. 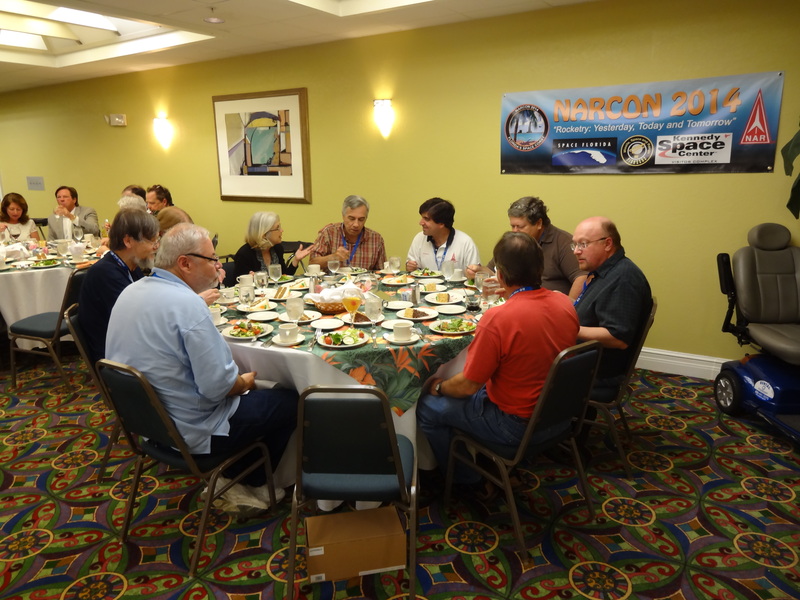 Just a few ballrooms away, we went to the NARCON Dinner with “Meet the Astronauts Panel.” After enjoying an excellent meal featuring prime rib and stuffed shrimp, astronaut and KSC director, Bob Cabana hosted a discussion with Durrance and Scott. 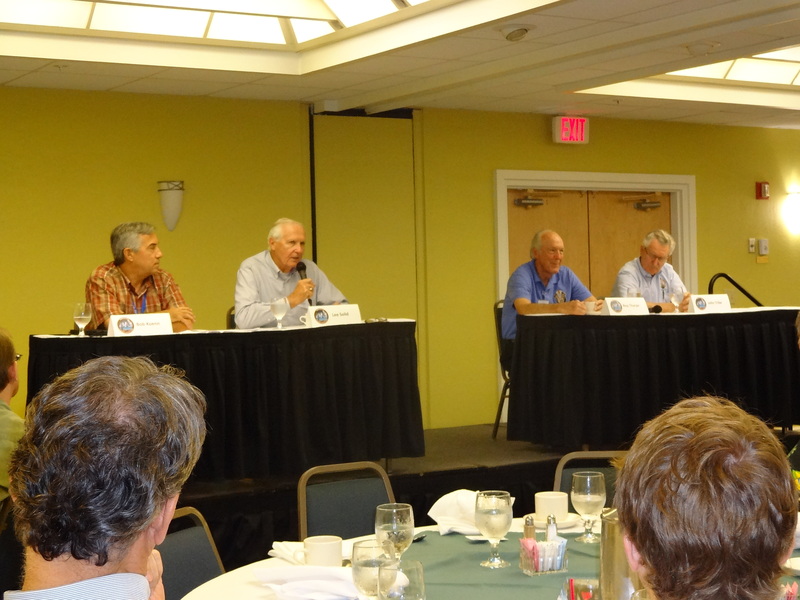 We heard the astronauts describe their experiences in space and at NASA. 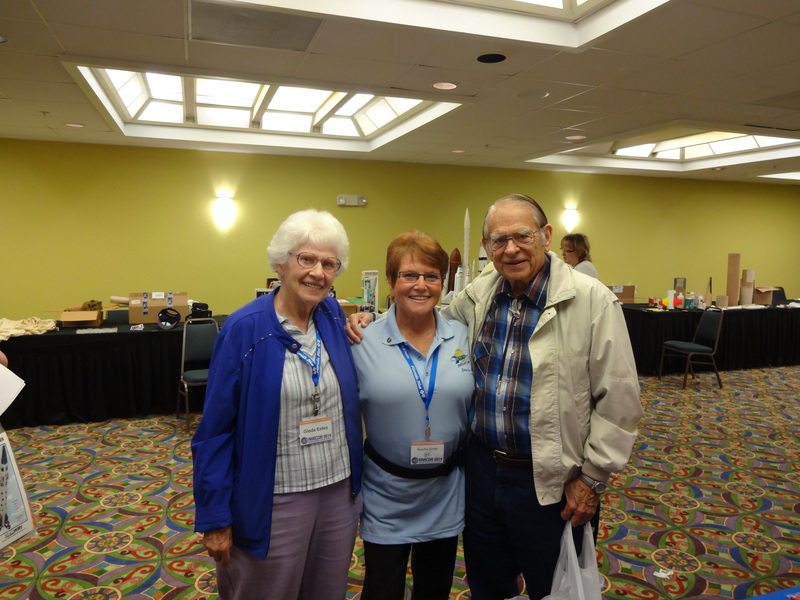 On Sunday, during one of the quiet times in the Vendors Room, Bracha posed for a photo with Gleda and Vern Estes. 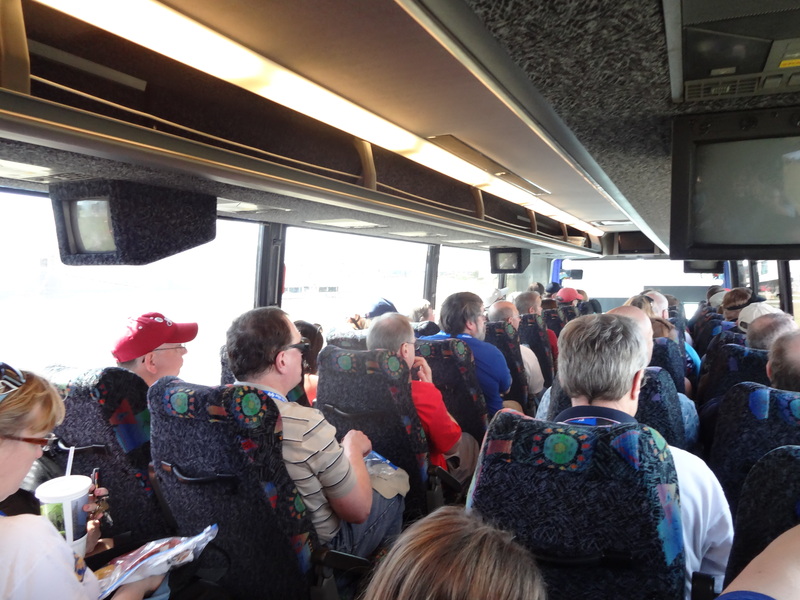 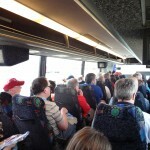 Before noon, we packed everything up then boarded one of the NARCON buses for the Cape Canveral tour. 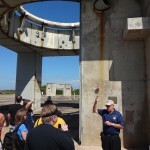 Our tour guide, John Hilliard, a volunteer from the U.S. Air Force Space and Missile Museum, took us to pad 34, Launch Complex 14, Hangar R, the Space and Missile Museum, and other places of interest on Cape Canveral. The tour ended a little after 4:00 and the bus dropped us back off at the hotel before five. 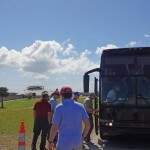 We loaded the JonRocket.com trailer and headed up A1A towards home. 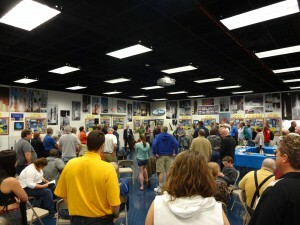 We’d like to thank the organizers for an incredibly well-run and enjoyable event! 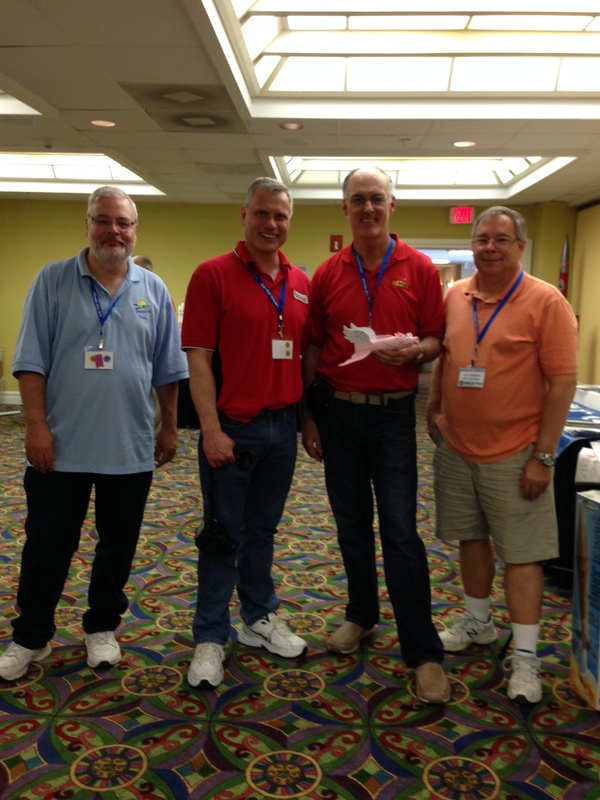 This entry was posted in NARCON and tagged canveral, events, narcon on March 6, 2014 by Roger.